It's Not My Life! It's Not My Family! Even if a million copies of The Stranger in My Genes are sold when it is officially released next week, it is unlikely that one single reader would react at every turn as did the protagonist in this very personal memoir. Complex combinations of motivations cause the course of this pilgrimage of personal discovery to be both unpredictable and compelling. Many of us think we know how we would react in certain situations. Then it happens to us and all bets may be off. Powerful emotions are the driving force for Bill Griffeth’s actions at least as he begins to process information from a DNA test that suggests his biological father may not be the man who raised him. The book cover including a partial family both present and absent in front of a rural church/school is a very appropriate starting point. These forces compete with professional and religious/moral values to lead him on an unpredictable journey that will compel readers to keep turning the pages. What will he do next? Will he be brash or do nothing at all? This book should be required reading for those who seek unknown parents and those of us who strive to help them in their quests. If there is one important take-away from this book, it is that there is not one single path that is best for all of us. 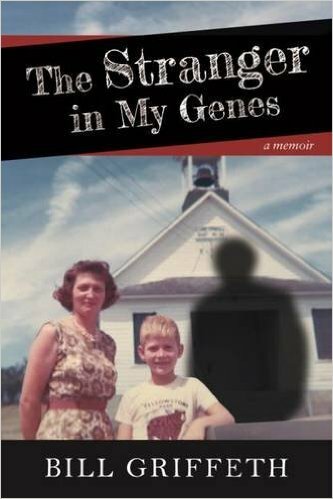 This is not a book about DNA or about genealogical research methods although those are interwoven throughout. Most of the DNA information is correct except for the brief confusion in Chapter 16 of X chromosome DNA with mitochondrial DNA. However, this does not detract from the story line and will not be noticed by most readers. One of the paradoxes of the book is that the author and main protagonist was a serious genealogist who had reveled in uncovering family secrets through traditional research methods. However, when a secret affected him very personally and was uncovered by DNA testing, everything was different. Was that because DNA was involved? Probably not. When we are suddenly forced to reevaluate deeply held personal myths which have guided our daily lives for half a century, we are thrown into uncharted territory. Another paradox is that the author had built a very successful professional career as a high profile investigative interviewer on a live nationally televised show. Would he subject his own personal discovery to the same level of scrutiny that he regularly employed to his on air guests? Why or why not? Is it different to probe business transactions and family values? You never should judge others until you have walked in their moccasins. 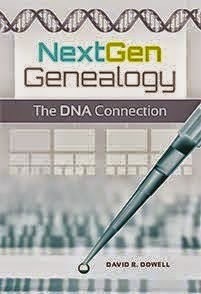 For those of us who work daily with genetic genealogy, this book can sensitize us to the balancing act we should be employing as we seek the proper equilibrium between the right to know and the right to privacy of various actors in the multifaceted and often deeply emotional dynamics of family life. I strongly recommend the book. Once you start reading you won’t be able to put it down for long. I don’t think I would have made some of the decisions Griffeth made; but then it was his life not mine and it was not deeply personal for me. In such intimate situations we all need to respect and validate the rights of others to find out what works for them. Our role should be to give them the support they need to process their own emotions and family situations. One solution definitely does not fit all situations.